Continuing with the efforts to support microinsurance market development in Egypt, the GIZ implemented programme MFMR, jointly organized “Microinsurance Learning Sessions in Egypt” with the programme to support the partnership “Making Finance Work for Africa” (MFW4A), Munich Re Foundation, the Microinsurance Network and SANAD technical assistance facility, with funding from the European Union. 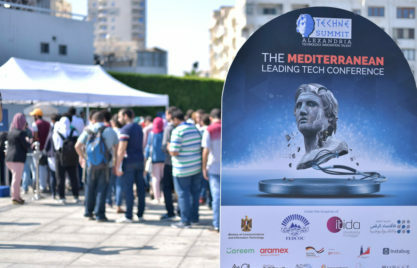 This was in collaboration with the Egyptian Financial Supervisory Authority (EFSA), the Insurance Federation of Egypt and the Microfinance federation. 150 representatives from the microinsurance stakeholders including insurance companies, insurance brokers, banks, microfinance institutions and development organizations participated in the two day event which took place in Cairo from 30th to the 31st of May, 2016. Hayder Al-Bagdadi, Head of the GIZ implemented programmes MFMR and the “Promotion of Access to Finance for SMEs in Egypt (PAFSME)” welcomed the participants by reinforcing the importance of microinsurance as a part of an inclusive financial market in Egypt. Sherif Samy, Chairman of the Egyptian Financial Supervisory Authority (EFSA), in his key note address pointed out that EFSA is currently working on the issuance of a definition for microinsurance, and introducing new simplified distribution channels. Michael McCord, President of the Microinsurance Centre and Chairman of the Microinsurance Network, said that “success in microinsurance requires scale, innovations and value for clients”. 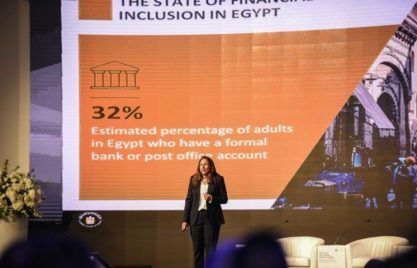 Only 0.3 million of the approximately 90 million people living in Egypt are covered by microinsurance today revealed the latest figures from the World Map of Microinsurance. Currently, there are three microinsurance providers in Egypt and the premium income stands at only US$ 0.2m. Regulation plays a critical role in microinsurance outreach, Osama Fathy an advisor in EFSA pointed out that EFSA is working on a new chapter for microinsurance which will allow the establishment of microinsurance companies and will also include diversified ways of microinsurance distribution. However, Anke Green from the Access to Insurance Initiative (A2ii) pointed out that markets do not have to wait for regulation, but can stimulate the market in the meantime by creation of trust among the various stakeholders and working on capacity building especially financial literacy efforts. The learning sessions also discussed ways to make a business case for microinsurance, which includes as pointed out by the speakers, understanding the demand of clients, having the right organizational setup for microinsurance and having a long-term approach. MFIs as a distribution channel for microinsurance were one of the points that were continuously brought up by the participants, however MFIs help to get microinsurance moving, however insurance companies need to look beyond. 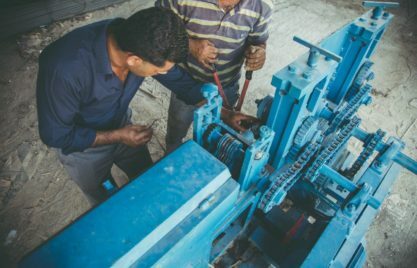 Although agriculture insurance is a new topic for the Egyptian market, there is demand for it, which needs governmental support to help build the market. The session on multi stakeholder approach for microinsurance support concluded that Egypt should strengthen and grow the microinsurance platform, and work on accessing other platforms for knowledge sharing and creation of dialogue. Egypt has established microinsurance platform in January 2016, under the umbrella of the insurance federation which includes insurance companies, microfinance federation, EFSA and development partners. As for the Way Going Forward with microinsurance in Egypt, Hayder Al-Bagdadi stressed on the importance of a landscape study, to truly understand the microinsurance market in Egypt. Mona Zulficar chairman of the microfinance federation stressed the importance of financial education campaigns to raise the awareness of the market. EFSA announced that by July 2016, further steps will be taken to develop microinsurance regulation in close consultation with the insurance association. Issues such as new distribution channels will be addressed, as well as the kind of reporting that will be required by the insurance providers. GIZ-MFMR will continue to support microinsurance market development through working closely with EFSA, the microinsurance platform and other stakeholders.